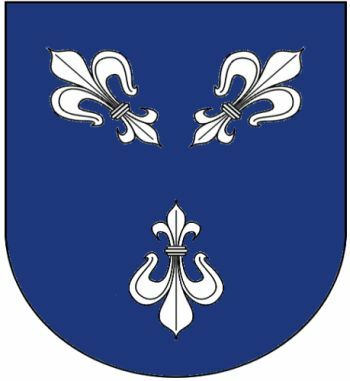 The arms on the dexter half of the shield are those of the Altieri family. This may be due to the fact that Felice Rospigliosi, the brother of Pope Clement IX, was elevated to cardinal by Pope Clement X (born Emilio Altieri) in 1673. Either this Jo[h]n de la Mare or his son of the same name was responsible for building Nunney Castle in Somerset. Eventually, Nunney Castle and the other lordships held by the de la Mares passed to William Paulet, Marquess of Winchester.